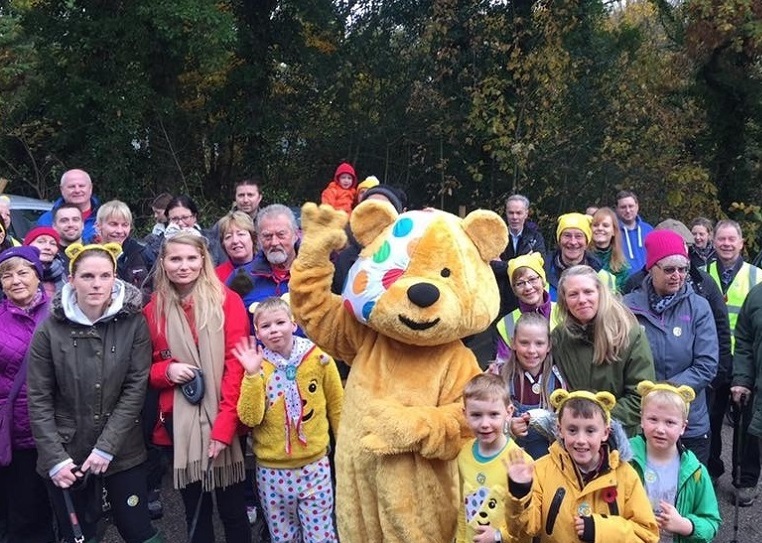 On Saturday Morning, more than 100 people put their best feet forward on a ramble for BBC’s Children in Need. The five-kilometre walk was held in Cuerden Valley Park to raise funds for the BBC’s charity and those taking part donated £3. People of all ages were surprised and delighted to find that a special guest had come along to wish them well. Children in Need’s Pudsey Bear waved from the veranda of the visitor centre as they set off on their way. 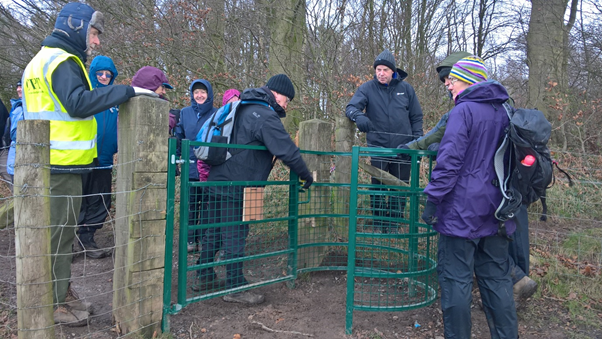 Cuerden Valley Park’s education officer, Clare Thompson set up the Ramble after seeing the idea on the BBC’s Countryfile programme, which encouraged people to arrange rambles to raise funds for Children In Need. “When I saw the programme I immediately thought that Cuerden Valley Park was an ideal place to hold a ramble”, said Clare. “It’s lovely at this time of year with all the autumn colours and I knew that the Park’s team of Health Walk leaders would help the event to run smoothly. They were all so willing to help and set up a route that was varied and interesting that showed off the beauty of the Park. From the great feedback we’ve received everyone that joined in enjoyed the ramble. From their donations and the sale afterwards of donated cakes and hot drinks from Cuerden View Café, we raised more than £600. It was a brilliant community event involving our staff and volunteers and I can’t thank everyone enough for making it possible”.